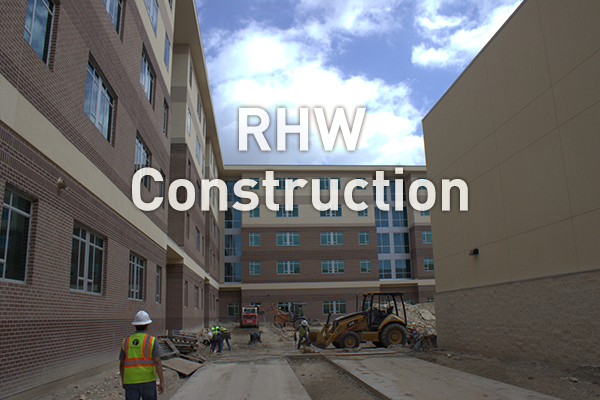 These week-by-week photos show different phases in the construction of Residence Hall West (RHW [Residence Hall West] ). This building is helping the University keep up with the growth in student enrollment. In addition, RHW [Residence Hall West] is dedicated to housing Living Learning Communities (LLCs [Living Learning Communities] ) of students with similar academic interests; who live, study, and often have classes together.